Anyone know how to fix this problem? settings maybe? 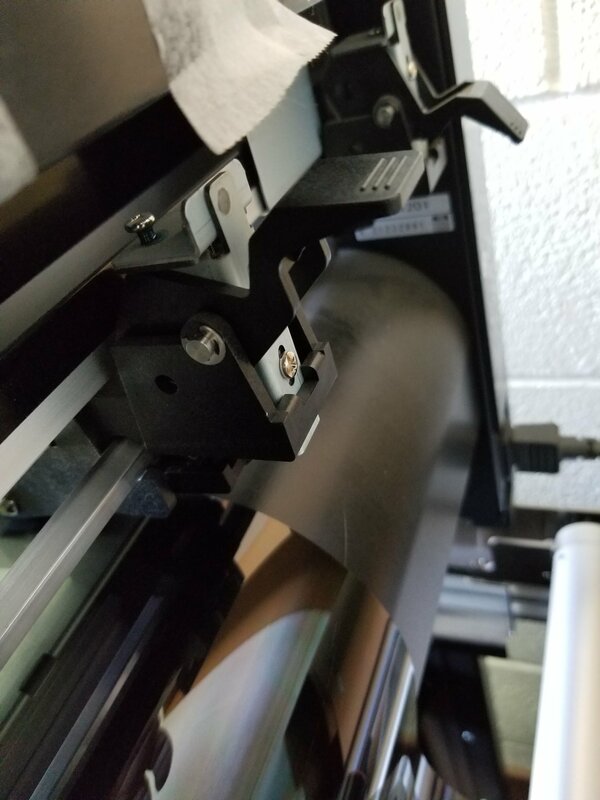 Ric I know this should probably be in the plotter section but figured I get more responses here as I am desperate for a solution. I assume you've tried it with a roll of film as well not just a scrap piece? Yep just trying not t wast film when I cut out a full car back window the last cut the corner is of by about a half inch were it meets. My first assumption is that tensioner isn't holding properly. May be a simple as changing out that top roller. I might would call up a distributor and see if they have ran into the issue. 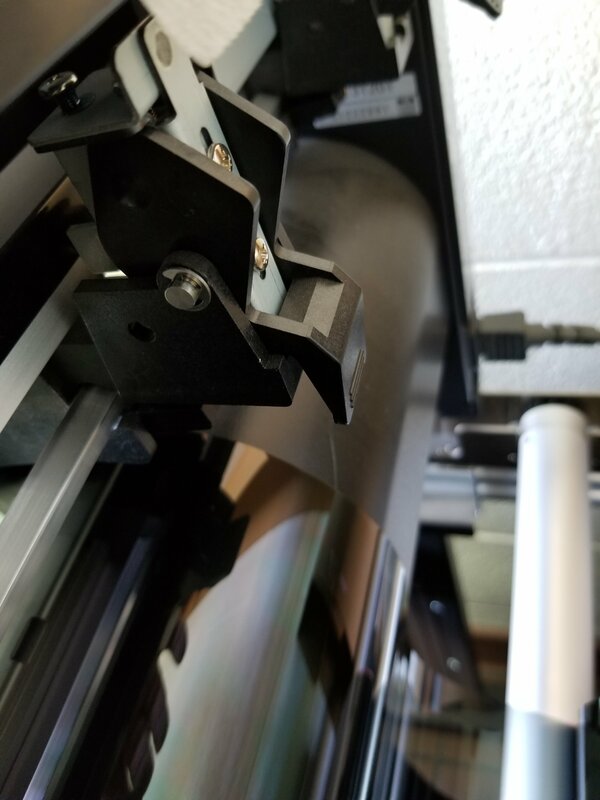 Every time I've run into this issue it's been because the tension for the pinch rollers got knocked loose. 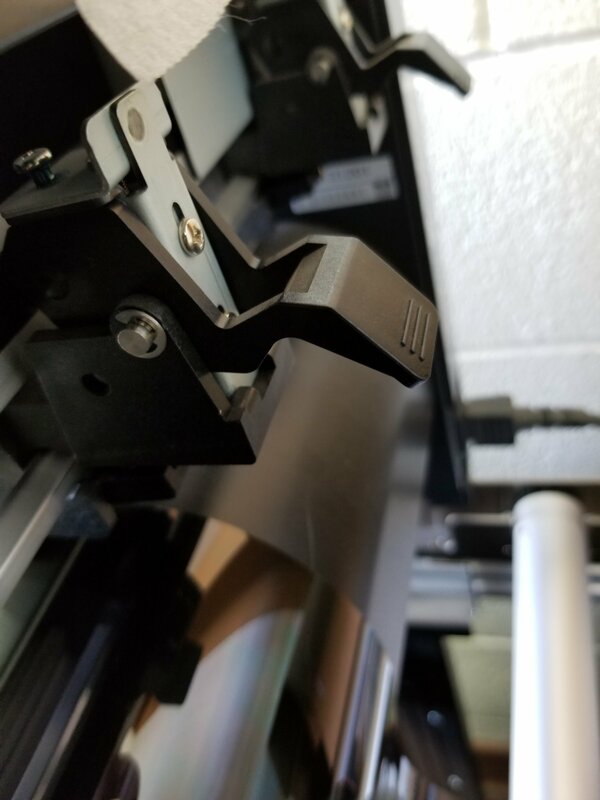 I have the same (or very similar) plotter, check on the back of the pinch rollers that the lever is all the way down, they have three positions and I'd be willing to bet that the one on the left is in the middle position instead of the lower like it should be. Glad you got it figured out.